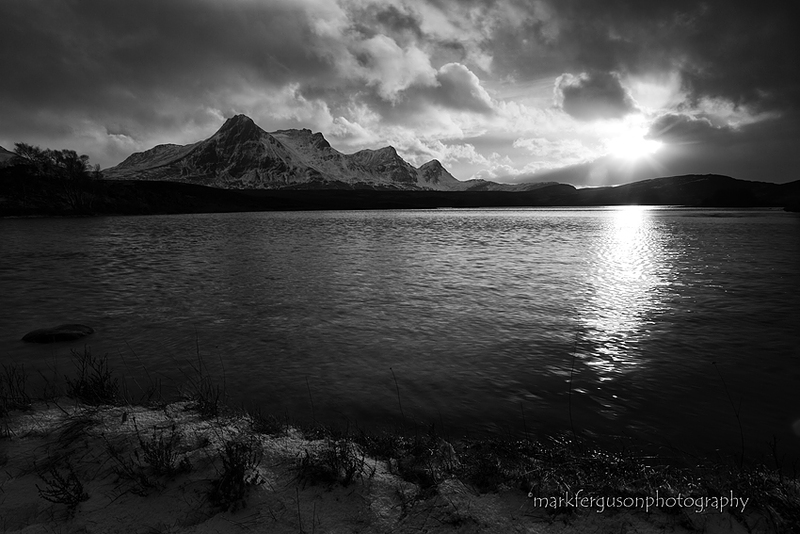 This high contrast scene at Lochan Hakel suited a black and white image. It had been a wild day of squally hail and snow showers and any glimpses of the sun were fleeting. Ben Loyal stands proud at the far end of the loch.